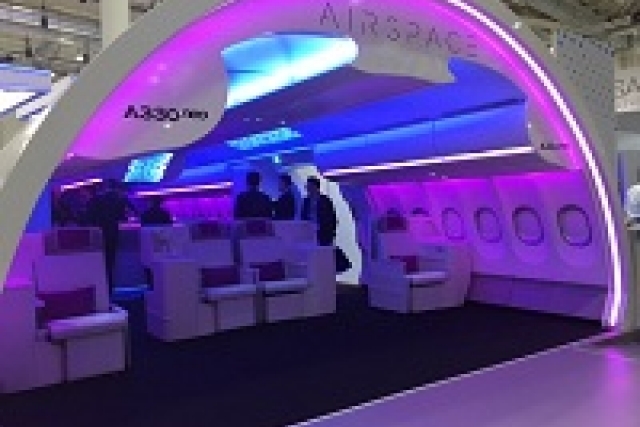 ON TOUR this week is from the Aircraft Interiors Expo in Hamburg. It is the undisputed global showcase for seats, IFE, lighting, interior outfitting and the rest, attracting some 536 exhibitors and drawing 16,000 industry visitors. Alison Chambers reports from the show and the associated Catering and Onboard Services Exhibition. It wasn't until I departed Aircraft Interiors Expo in Hamburg that it struck me why this show, now in its 17th year, is the success it is. It is the undisputed global showcase for seats, IFE, lighting, interior outfitting and the rest, attracting some 536 exhibitors and drawing 16,000 industry visitors. But what makes it really stand out is the high number of senior airline executives walking around, casually dressed, undisturbed, eyeing new seats, checking out the IFE providers. Not at all like the Farnborough or Paris shows, where VIPs are cosseted behind closed doors, fearful a competing manufacturer may hijack them. Qatar Airways CEO Al Baker was there (he goes every year) and Air Asia's flamboyant boss Tony Fernandes, sporting his distinctive red baseball cap. 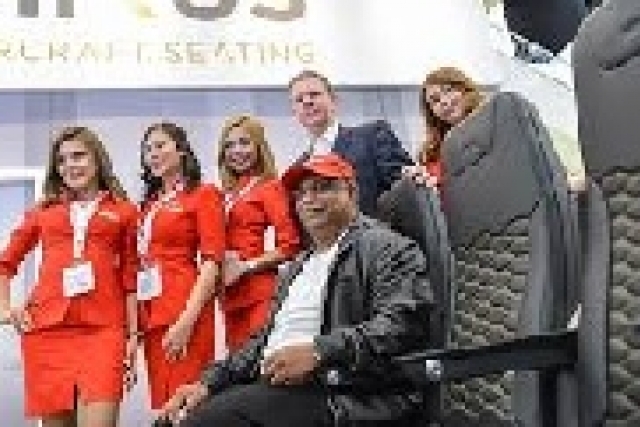 He dropped in to announce an order with Mirus Aircraft Seating. The Norfolk-based manufacturer has just moved into airline seats, having built up a reputation in the F1 and automotive industry. Fernandes first worked with its founders when he was running the Lotus and Caterham teams. He ordered 70,000 units of the new Hawk, all-composite, ultra-slim back seats, which have considerably fewer loose parts, for Air Asia's A320/A320neo aircraft. Aviointeriors announced its move into the Premium Economy space with a keenly-priced new Columbus C4 business seat. Designed with a pitch of 38in and with an inbuilt IFE screen of 12.5in, the attractive-looking memory-foam unit reclines to an impressive 10in. The business of seats is highly competitive. Jeffrey Forsbrey, newly-appointed senior VP sales and marketing of Aviointeriors, highlighted how he market is dominated by the top three, Recaro, BE Aerospace and Zodiac, with a 94% share. The 'minnows', which include Avio, Pitch Aircraft Seating, Rebel Aero, Acro, Thompson, Élan, Geven and newcomers Mirus and Comfly, headed by former Avio CEO Mario Shusa, are jostling to grow market share and, equally important, gain endorsement from airframe OEMs. The retrofit market and providing after-care support for new seats represents good business for companies like Airline Services Interiors. The Mantchester company is installing a new IFE system on 18 B747s for British Airways for example, overseeing design, certification and manufacture of modification kits, working with Panasonic and Zodiac to install its eX3 IFE system. The company recently started work with Aer Lingus to refurbish three B757-200s too, installing lie-flat Thompson Aero Vantage Business Class seats, new IFE and in-seat power. With airlines holding on to older equipment because of the low oil prices, sales director Mark Stevens says this is a sweet spot for the company. With today's long-haul flights approaching 17hr plus, providing the appropriate inflight experience is a huge decision. There was contention this year on whether the end of imbedded seat-back IFE is nigh. ViaSat VP Don Buchman challenged so, proclaiming a new generation of satellites in mid-2019 will enable offering more capacity (1Tb per second) to stream on to passengers' own devices, making seatback screens redundant. 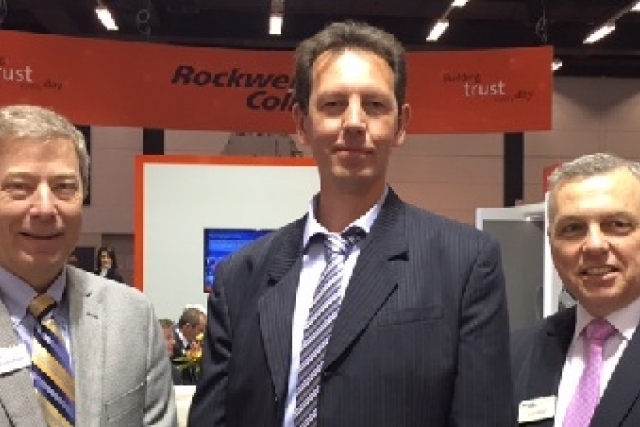 Rockwell Collins director global marketing Richard Nordstrom disagreed. The OEMs have huge backlogs of orders stacked up for years, all specifying seat-back IFE and people like to multi-task - watch TV or a film and answer emails and check the news, he suggested. Rockwell Collins confirmed a high-profile order from Air Astana at the show to install Inmarsat's new Global Xpress Ka-band broadband connectivity across its existing Boeing 767s. From September, passengers in Economy and Business Class will be able to connect on their tablets and smartphones to surf the internet, check email and messaging applications when the installation is complete. Airbus came to AIX to sell a lifestyle brand with its centrepiece A330neo Airspace cabin exhibit. "We want passengers to feel love at first sight," gushed VP marketing Ingo Wuggetzer, outlining the philosophy of its four important attributes, comfort, ambiance, service and design. The cabin offers wider seats, bigger storage bins and attractive ambient lighting. TAP Portugal CCO Trey Urbahn arrived to confirm an order for 14 A330-900neos with Rolls-Royce Trent engines and the Airspace layout, for which the airline is launch customer. At the co-located World Travel Catering and Onboard Services Exhibition there was an increased emphasis on healthy eating inflight. Frankenberg Inflight meals from Germany was a stand-out with its creative and flavoursome dishes. 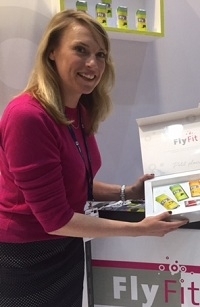 Aviation nutritionist Sarah Wilson, who was at the show, is advocating gluten-free bread in airline meals and easier-to-digest superfood options. 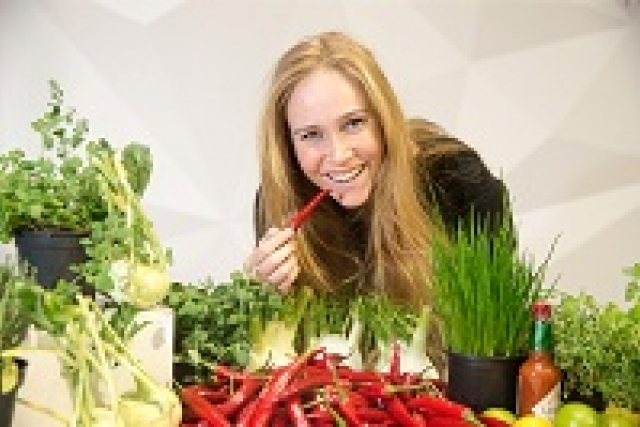 From her practice in Harley Street, she tests for gluten and lactose sensitivity in other food via DNA and helps frequent flyers on weight management, hormonal rebalancing, gastro-intestinal, immune health and skin concerns. Her mantra is that you should never board an aircraft hungry and to be mindful about what you eat inflight, especially if have Type 2 diabetes or high blood pressure. She advocates beetroot, rich in nitric oxide, for high blood pleasure and coconut water for electrolyte balance and dehydration. Over at iFleat food, food stylist Valentine Harmsen from the Netherlands was promoting a new app enabling airline passengers to order meals created by top restaurants up to 12hr before their flights. By entering their personal reference numbers on their smartphones, they can choose fine food in restaurant-sized portions. Also from Holland, Vitalit Laboratories' FlyFit products combine the functionality of superfruits into the ingredient Q4, a concentrated mix of raw, all-natural fruit extracts. The company's airline-designed drink cartons were refreshing, the lemon and mint, especially nice. The anti-oxidant powder shots in a variety of flavours designed to perk you up after a long-haul flight are just what you need covering a busy show too.